The SEC wants to modernize the rules that govern state-based crowdfunding in order to make intrastate offerings easier, Chairwoman White says. 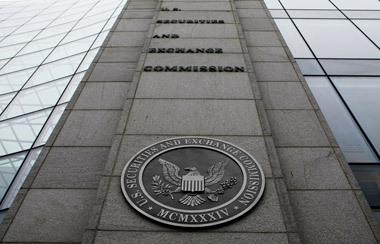 The Securities and Exchange Commission is looking at ways to allow states to more easily participate in intrastate crowdfunding initiatives, SEC Chairwoman Mary Jo White said Wednesday, during a meeting of the SEC’s Advisory Committee on Small and Emerging Companies in Washington. White reiterated her goal to complete the agency’s crowdfunding rulemaking this year under Title III of the Jumpstart Our Business Startups (JOBS) Act. This is the last “significant” JOBS Act rule for the agency to finish, she said. For instance, Securities Act Rule 147, adopted in 1974, created a safe harbor that issuers often rely on for intrastate offerings, “and how an issuer might conduct an intrastate offering using the Internet was not contemplated at that time,” White explained. Securities Act Rule 504, an exemption that could be used to facilitate regional crowdfunding offerings for up to $1 million that are registered in one or more states, could also benefit from updates, according to White. Michael Pieciak, corporate finance chair for the North American Securities Administrators Association, noted at the meeting that more than 16 states, including the District of Columbia, currently offer state-based crowdfunding, while nine states have passed bills or have engaged in rulemaking on state-based crowdfunding. Twelve additional states, he said, have legislation pending and another three are considering rules or bills. While the “main focus” should be changes to Rule 147, Pieciak told committee members that the SEC needed to modernize Rule 504 to help with the regional crowdfunding approach. Ninety-one offerings in a “great variety” of business sectors have been made in the 16 states, Pieciak said. Companies with “high growth” goals as well as those with “a social or community component,” are typical among the offerings, he said. First is the requirement that a company must be incorporated in the state in which it is offering the securities. Second is that the company must carry out a significant portion of its business in that state, which is defined as at least 80% of its operations. Pieciak said this requirement would be difficult for an Internet-based business to comply with. One committee member wondered if the SEC’s federal crowdfunding rules under Title III of the JOBS Act, once completed, would “supercede” state-based efforts. “If federal crowdfunding comes online, what do the states have to offer?” According to Pieciak, states’ regulatory compliance requirements will differentiate state-based offerings. In late-May, the commonwealth of Massachusetts said it was joining the state of Montana in suing the SEC over a JOBS Act rule, known as Regulation A+, that bars them from regulating some small securities offerings. — Check out Massachusetts, Montana Sue SEC Over JOBS Act on ThinkAdvisor.